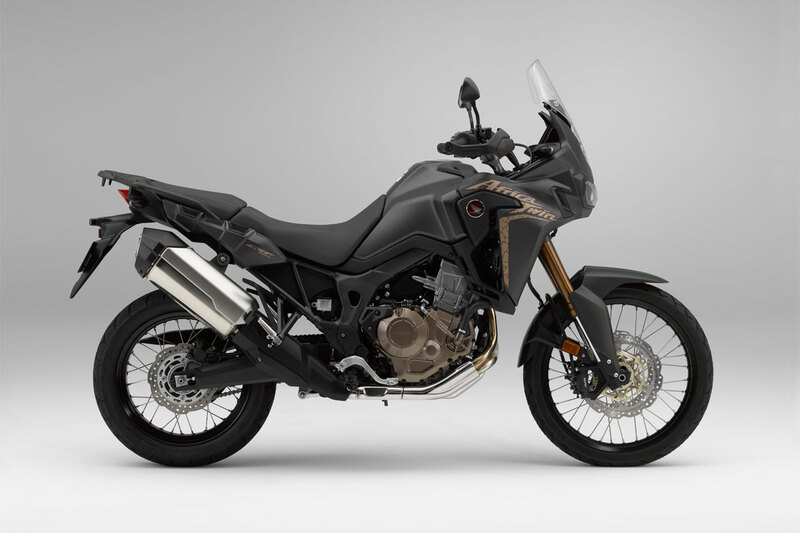 The secret to the Africa Twin’s wide-ranging abilities starts with its engine, which has to perform in off-road situations as well as on-road, over long-range tours, short commutes and all points in between. As such, it provides an optimum balance between power, torque, mass and physical dimension. The lightweight six-speed manual gearbox uses the same shift-cam design as found on the CRF450R to ensure positive changes, and is equipped with an aluminium assist slipper clutch. Another significant addition for 2018 is the new Throttle By Wire (TBW) system, which brings with it 3 riding modes to adjust engine character and output to suit riding conditions. Also new is an extended range of Honda Selectable Torque Control (HSTC) input. The Africa Twin is styled with minimum bodywork in a tough, lightweight form that offers both wind protection for the rider and a slim, agile feel. Dual LED headlights maintain the original’s presence, while the negative LCD meter closely follows the layout of the Dakar race machine. Seat height adjusts 20mm from the standard 870mm down to 850mm, and an 18.8-litre fuel tank provides great touring range.